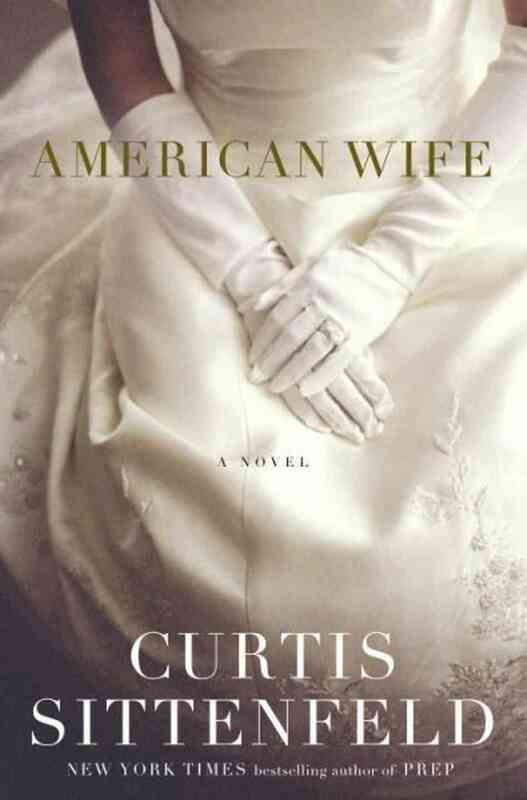 American Wife is a fictionalized account of the life of an unlikely First Lady of the United States, Alice Blackwell. It is loosely based on Barbara Bush, but very loosely, in that she is First Lady during the time period that Bush was president, and Alice may have had some of the same beliefs that Barbara did but a different background. And her husband, Charlie, had a much different background also. But, American Wife was entertaining for the most part. 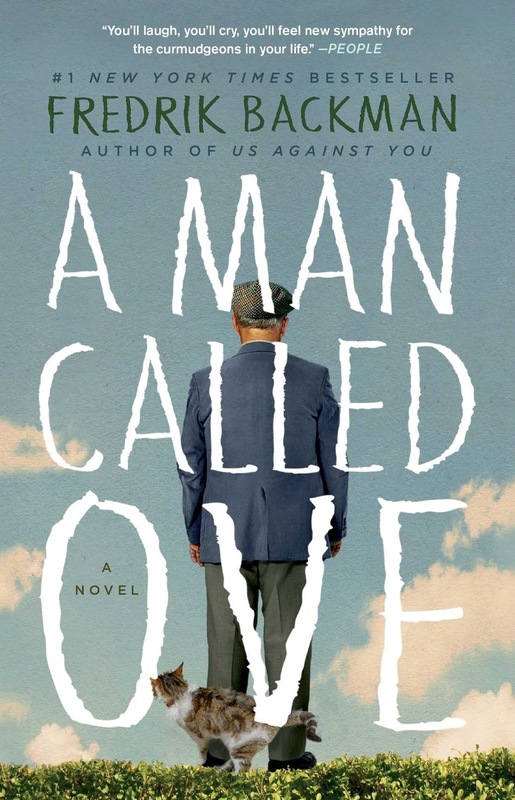 It is the story of a childhood, a romance, a marriage, and ultimately a political career. But the presidency doesn't happen until the last 120 pages. A lot of the story is about their marriage, at times struggling, and Alice fitting into Charlie's very affluent family after her middle-class childhood. Alice's first-person narrative flips back and forth in time quite a bit, and this technique worked well for me. Especially during the presidency years, she is very introspective about fame and how it changes a person and how she fought these changes. Somewhat repetitive, I still found these insights helped the reader relate to this very unique situation. 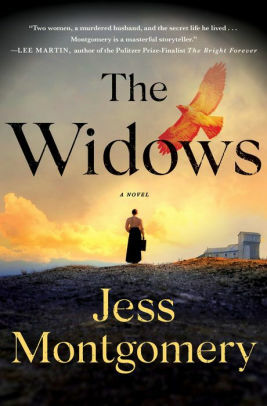 American Wife would not fit into my "must read" category, but it certainly was not a waste of time. If you are interested in seeing the rise of a political career from the First Lady's perspective, this is a good one. Sittenfeld did a lot of research into first ladies of the time period, and I felt her observations were authentic. Courting Mr. Lincoln is the fictionalized account of the story of two very important people in Abraham Lincoln's early life - Joshua Speed and Mary Todd. Mr. Speed is the man that Lincoln ended up boarding with - literally sleeping in the same bed with - when he arrived in Springfield. Speed was a shop owner, and they lived above the shop. They became very close, and Speed had a great deal to do with turning Lincoln into a proper gentleman that would be accepted by society, given his backwoods upbringing. Mary Todd comes to Springfield to find a husband. Really. She was one of many siblings, and her older sister, who lived with her husband in Springfield, was sending for her sisters one at a time to find them suitable matches in Springfield. Mary proved a difficult case. She was introduced to Speed and Lincoln but never dreamed of a relationship. Well, if one was possible, it was certainly to be with Speed, and not the awkward Lincoln. The story is told in alternating points-of-view between Mary and Speed. Living in Illinois, I found the history of Springfield to be particularly interesting. The romance between Lincoln and Mary was very tumultuous. At first, it was secret since Mary knew her sister would not approve, and then after they became engaged and everyone knew, they broke it off. Which meant that Mary was "used goods" and destined to be a spinster. All very dramatic. The story flows easily, even though sometimes we get the same events told by the two different narrators, it worked well and I never lost interest. The relationship between Speed and Lincoln was particularly interesting. Speed had a hard time accepting that Lincoln was getting married -- they had both made a pact that they never would. The narrative ends shortly after Lincoln becomes President, and really it skips from their marriage to the beginning of the presidency, which was almost twenty years. So this is the story of the "Courting" and not much else. We do get a glimpse of the end of Mary's life, back in her sister's home in Springfield, as well as a sentence or two about what happened to each of the other main characters. All in all, a very interesting story and I really enjoyed it. However, I am profoundly disappointed that there isn't an author's note at the end explaining the variances from the truth. This seems to be required in a fictional account of a true story. Hopefully, this will be included in the final copy, because it almost made me not want to recommend Courting Mr. Lincoln. You will need to do some research, if you are like me, and need to know! Especially about the event that brought Lincoln and Mary back together after their engagement was over. Is that really what happened? 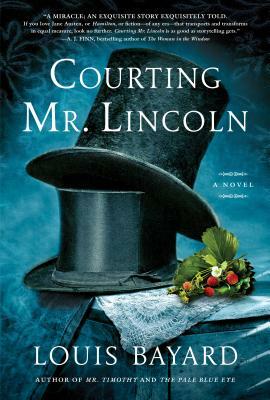 Courting Mr. Lincoln is marketed as an adult book, but I think teens who are interested in an entertaining historical romance will enjoy this one too. I thoroughly enjoyed Winters’ delightfully macabre tale of the life of Edgar Allan Poe, The Raven’s Tale. Poe had a difficult upbringing. His mother, an actress, died when Poe was very young, and he was taken in by the Allans. His new mother always loved him, but life with his father became very difficult. The more Poe became interested in writing, the more his father tried to dissuade him. Poe was accepted into the University of Virginia, but because he wouldn’t give up his writing, his father threatened to not allow him to attend, and in the end, made Poe’s short stay at the University almost impossible. Winters writes the story as if it were written by Poe. She ads a character that is Edgar’s muse, a creepy woman Edgar names Lenore, who he can’t live without. She begins to grow feathers and is evolving into a raven. 😉 His father goes so far as to try to kill her. During his tenure at the University Poe has another muse vying for his attention, a man who wants Poe to stop writing the scary stories about death and write something that would make a name for him. It is interesting how when Lenore is around, lines from Poe’s poetry pop into his head. Makes you wonder if this is really how it happened?? The tale is deftly told and kept my interest, and I felt such compassion for Edgar and his troubled life. I haven’t even talked about his doomed love life, which is also a large part of this sad story. Those who are interested in Poe’s life can’t go wrong with The Raven’s Tale. As you probably are aware, Poe did come to know success and some happiness eventually. Winters adds a helpful Author’s Note that adds to the information given in the book. There’s a bibliography for further reading, as well as copious notes about where every line of poetry in the book came from. Some is written by Winters herself, in the style of Poe, which is excellent. I've read all of Winters' novels and am always impressed. She's a "must read" author for me. 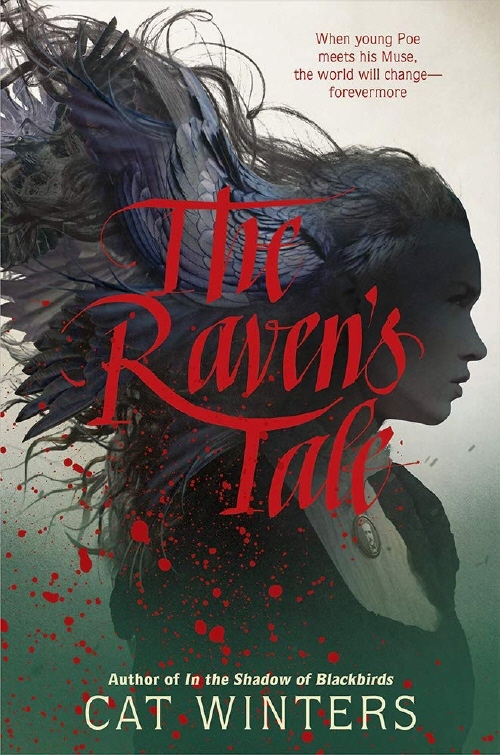 The Raven’s Tale would be an excellent addition to any curriculum examining the works of Edgar Allan Poe. 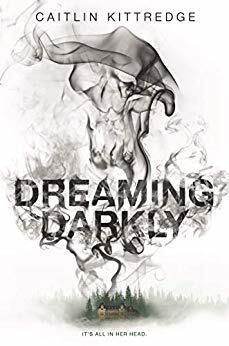 Teens who enjoy gothic mysteries with some creepiness will enjoy Dreaming Darkly. I am pleasantly surprised by Stain. It is one of the best fairytale retellings I've ever read. I'm getting tired of fantasy. Especially dark, ominous stories. So I had misgivings when I picked up Stain. But I had never read anything by Howard, and I wanted to. Stain is its own story; a mashup of fairytales retold, which made it even more appealing. Even though you know the prince and the princess will eventually get together, you aren't sure how that's all going to play out. Howard includes The Princess and the Pea story at the end of the book, but I saw elements of Cinderella too. (Evil stepmother and stepsisters -- aunt and cousins in this case.) Although there is the bed of nails thing, and the prince needs to find her before he dies. Doesn't really matter. Just don't worry about what story this is supposed to be. And about the Prince and Princess--Stain is full of peril and pain, but because it is written like a fairytale, you know there is a "Happily Ever After" (or, Hopefully, as Howard writes) in store for the ending. The characterizations are great--the evil characters are vile. And the heroes are...well, heroic! The writing is uplifting and compelling. At over 500 pages, I flew through Stain. If I have to say anything negative about Stain, it would probably be that there are a lot of characters to keep track of. I did get confused once or twice, like, "now wait, who is that again??" But that's my own thing and might not apply to other readers. Maybe Stain was just the right book at the right time for me, but I found it refreshing and fun. I'll be donating this to my high school library and can't wait to recommend it. Copy obtained from a freebie! 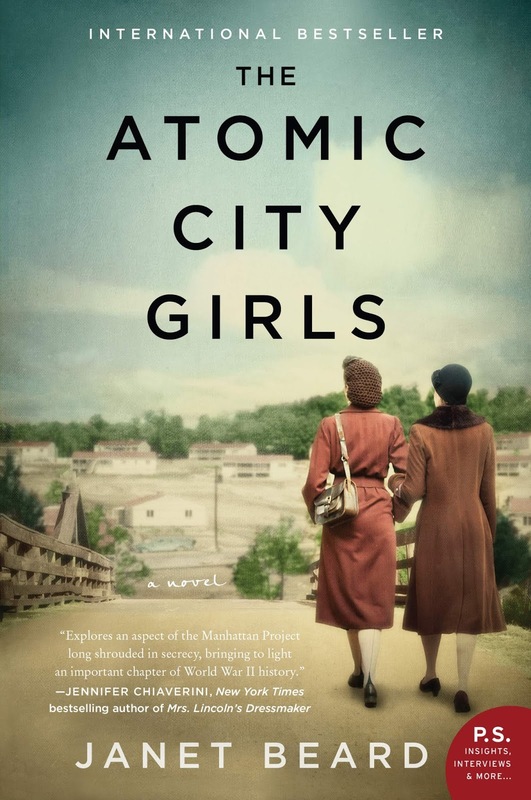 The Atomic City Girls is another World War II book that covers an aspect of which I was unaware and kept my interest as well. We've all heard of the Manhattan Project and the research and development that took place at Los Alamos in New Mexico. But much of the actual production of the uranium was done in Oak Ridge, Tennessee, a town that didn't exist until 1942, when the Army Corps of Engineers built it just for this purpose. Normal, everyday citizens came from all over the country to work here--not realizing what they were doing, except that they were helping to win the war. The Atomic City Girls is the story of June Walker, eighteen years old, who moved to Oak Ridge because it was a good job with good pay. June's roommate is Cici, who is much more worldly and experienced than June. Cici is at Oak Ridge to get a rich husband. There are many more available men here than in the general population. June eventually meets one of the scientists, Sam, and they begin an unlikely relationship. Another point of view comes from Joe, an African-American construction worker. The conditions for these workers was, as you would expect, not nearly as nice as their white counterparts. But the pay was good, so they put up with a lot. Security is everything. The workers are constantly being reminded to not talk about what they are doing, even to those in Oak Ridge. And it is a breach in that security that eventually turns everything upside down for June. The Atomic City Girls is well researched and interestingly written. All of the characters are distinct and add to the rich atmosphere that Beard has created. I thought there were some slow spots, particularly before June meets Sam. Also, June has a sister, who works at Oak Ridge, that is just kind of left hanging. June never sees her, except a casual mention at Christmas and at the end of the book. If you needed her for the end of the book, she should have played at least some part earlier in the story. These are minor niggles, and if you are interested in World War II history, The Atomic City Girls should definitely be placed on your list. Xe Sands, the narrator, does a superb job, so I highly recommend the audio version. 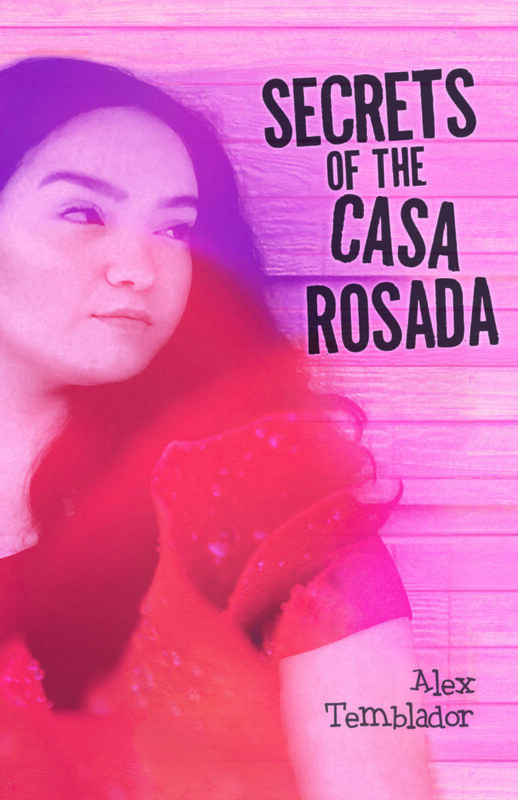 Secrets of the Casa Rosada is a riveting, mysterious story of a teen who is dragged kicking and screaming into a Hispanic heritage she knew nothing about. Martha and her single mother have had a hard life picking up an moving often, so when her mother tells her they are going to visit her grandmother, she assumes they have been evicted again. But a grandmother? Sixteen-year-old Martha knows nothing about her mother’s family. And she's never lived anywhere in the South. She is totally overwhelmed when they arrive in Laredo, Texas. For one thing, it is unbelievably hot all the time. But worse than that, her grandmother doesn’t speak English, and Martha doesn’t know any Spanish. She is stunned when her mother starts communicating in fluent Spanish. This is not the mother that she has known. And while she is totally confused by her surroundings, Martha’s mother suddenly says goodbye and leaves her with her grandmother. Things move very quickly and while Martha is still disoriented, and hating her grandmother, she is enrolled in school, attending church, and learning about her extensive extended family. The more she learns, the more she realizes that there are many secrets that her new family is keeping from her. She is also learning that her grandmother is a highly respected curandera--a healer. Her grandmother drags her around to her appointments, and Martha is confused about what exactly her grandmother does. Is it magic? All Martha cares about is finding out about her mother -- why she left and what secrets Laredo holds. Coming from my white perspective, the Hispanic experience seems authentic, but how would I know? Martha’s quest to find out her mother’s secrets is what keeps the anticipation building. Martha is sympathetic and easy to root for. The ending is quite dramatic--even life-threatening--and includes a spiritual/supernatural element. 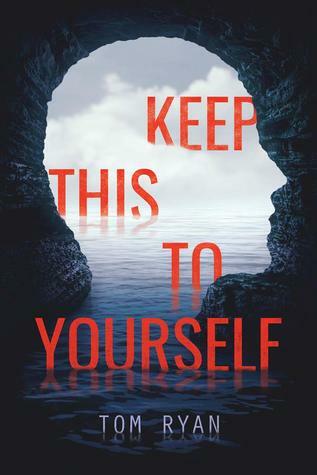 I would recommend this one to teens who enjoy family mysteries that will keep you guessing. It is a quick and captivating story.